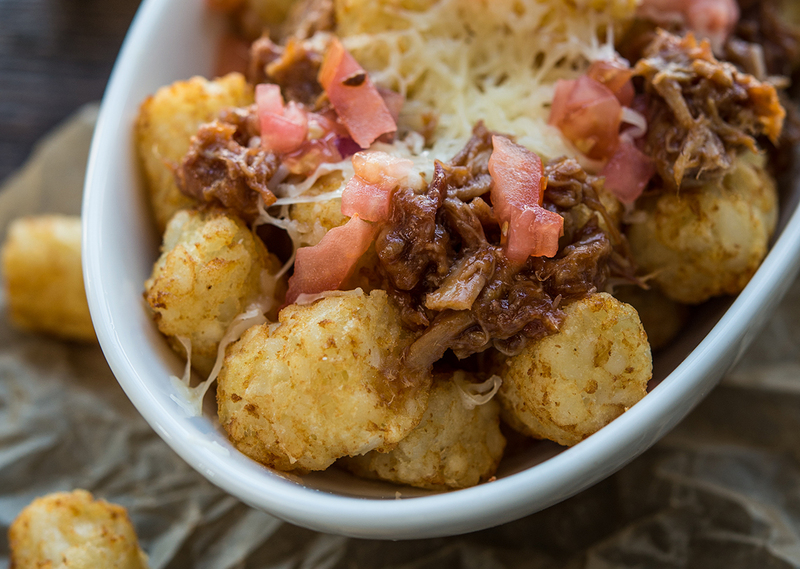 These tater tot nachos (totchos) are perfect for gameday or as a hearty snack. For a tasty finishing touch, top them off with avocado, sour cream, and jalapeños! Attach lower griddle plate. Preheat Grill & Broil on HIGH Broil. Place tater tots into preheated griddle plate and broil for 23-25 minutes. 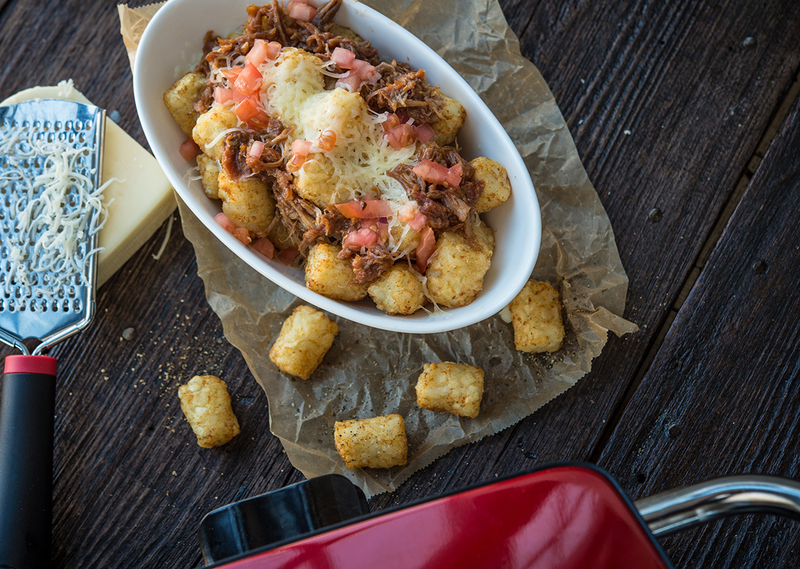 Layer shredded pork, Fontina and diced tomatoes on top of tater tots. Cook on HIGH Broil for 3-4 minutes until cheese is melted and pork is warmed through. Tip: Top with diced avocado, sour cream and sliced jalapeños.